This is perhaps what would have happened if Liam Neeson hadn’t got his daughter back in Taken. For we start with somewhat dubious businessman Wong Ho-chiu (Wong), discovering the body of his recently-kidnapped daughter, Daisy (Man), being buried in a construction site with a plastic bag wrapped around her head. From there, the plot diverges in two way. We flash back to see the incidents which led up to this point: Daisy and Ho-chiu had a somewhat fractured relationship, to put it mildly, not helped by the daughter’s drug use. Though his efforts to rein her in, were the result of him caring too much, rather than not enough. More interestingly, we also see the father’s subsequent quest for revenge, mostly carried out through his right-hand man, Chor (Jen). He untangles the chain of events from the time Daisy stormed out of the house, while Ho-chiu maintains the illusion that Daisy is alive. [He tells people she was shipped off to a farm upstate, to live the rest of her life in peace. Or went to Los Angeles, I forget which] As Chor works his way up the chain of perpetrators, he videotapes their execution and sends them to his boss – it’s very much revenge by proxy. Or revenge with plausible deniability, perhaps. We’ll watch Wong in just about anything, and he brings his usual intensity to proceedings here. But it seemed as if the script-writer threw random side-ideas in, without seeing whether they fitted the tone and content of the movie. For example, there’s an entire subplot involving one of Ho-chiu’s employees, who is trying (and failing) to clear and acquire a parcel of land for his boss. At one point I thought he was going to end up being the kidnapper. Doesn’t happen. In fact, he seems entirely irrelevant, and could be erased from the film entirely. Similarly, no reason was ever explained for the father’s cover-up, which even extends to his own wife. Hey, it’s Maggie Cheung – long time since we’ve seen her in anything, to the point that Chris didn’t recognize her. The parallels between the shaky family lives of employer and employee are obvious, yet provide nothing more than an obvious demonstration that money doesn’t buy happiness. The finale is perhaps the most successful part of the film, where the truth is revealed, and we learn the equally obvious point that forgiveness may be more effective than extracting revenge. Though there was a point where I thought the film was going to head in a very different direction, with Ho-chiu ending up with a new daughter, and subsequently getting a do-over on the whole “poor parental decisions” thing. 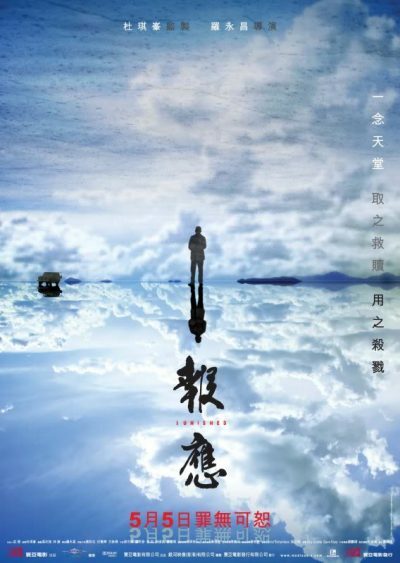 Produced by Johnnie To, it doesn’t have the same eye for style, save for an opening scene involving a Bolivian dry-lake bed. This likely makes more sense at the ending than when you first see it. Just as Ho-chiu gets to experience his revenge only second-hand and with a resulting emotional distance, I was left similarly unmoved and largely unsatisfied.